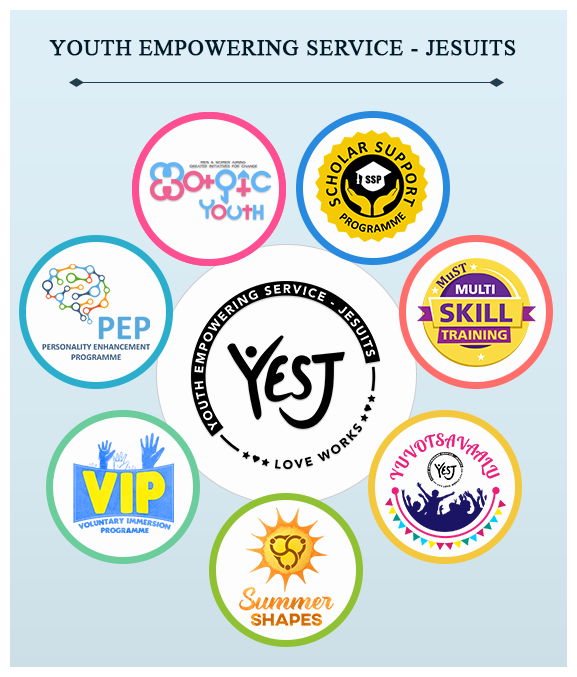 Youth Empowering Service – Jesuits (YES-J) is one of the ministries of the Andhra Jesuit Province of the Society of Jesus that serves the needy, young people from Telangana and Andhra Pradesh in India. Young people in our society can not only be the object of formation but could themselves become active agents of change if their energies, aptitudes and talents are better channelised. We firmly believe that all young people, irrespective of their educational, social, religious and economic backgrounds, are capable of fulfilling their potential for a better and meaningful life. Unfortunately, due to the unjust social structure in Indian society, lack of opportunities, resources, guidance and support, many young people are pushed to margins and impoverished life situations. We are convinced that creating a support system and instilling hope and courage in young minds will empower them to realise their dreams.